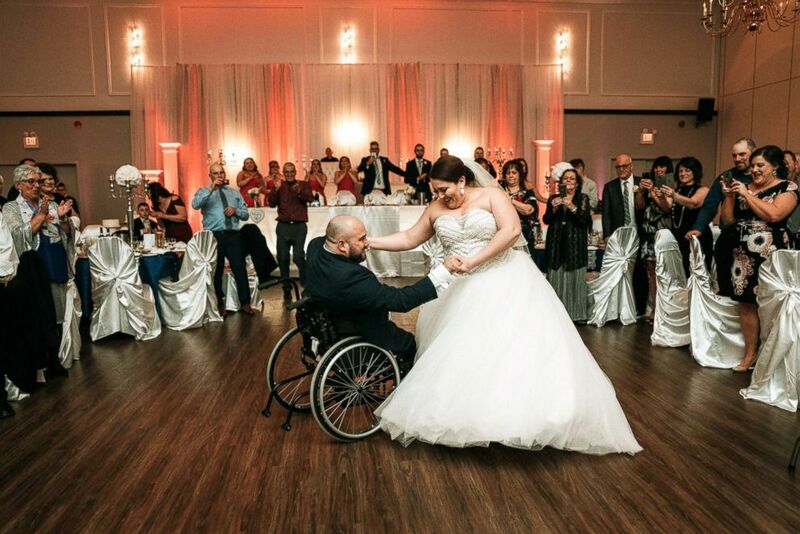 A groom, who once hesitated telling his bride that he was diagnosed with cerebral palsy for fear she’d reject him, broke down into tears when he saw her walk down the aisle. Justin Boisvert, who was born with the congenital disorder that often affects movement and posture, met his now-wife Sabrina Raposo on a dating app. The groom told Good Morning America that he’d often turn online to date because he was afraid that women would reject a man who spends most of his days in a wheelchair. Groom Justin Boisvert is consoled after he broke down into tears on his wedding day, April 20, 2018. But it was Raposo, 27, who reached out to Boisvert, 30, online first back in the fall of 2007. Newlyweds Justin Boisvert Sabrina Raposo kiss on their wedding day, April 20, 2018. Boisvert did indeed want to talk and the two began dating by November 2007. Their relationship would eventually evolve into an engagement in November 2013. 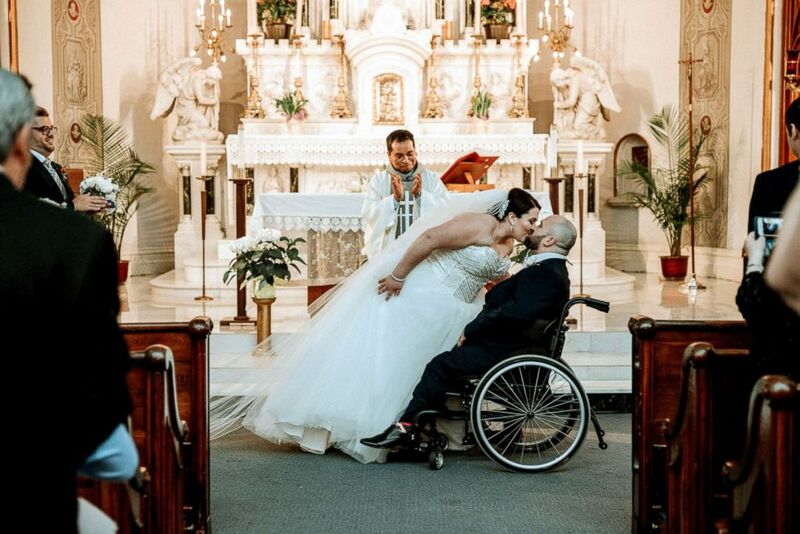 And the two finally tied the knot in front of about 150 people on April 20, 2018 inside St. Lawrence the Martyr Parish in Hamilton, Ontario, where the two live. 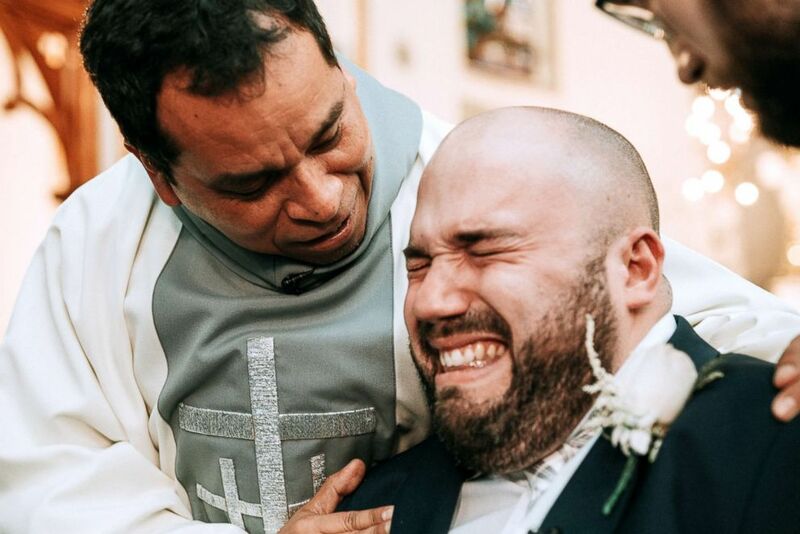 When Boisvert watched Raposo walk down the aisle to him, he couldn’t hold back tears. “I was looking down trying to fix my dress and as soon as I looked up I could see Justin — he was losing it,” the bride recalled, adding that she too broke down. Newlyweds Justin Boisvert Sabrina Raposo dance on their wedding day, April 20, 2018. Boisvert said he couldn’t help himself from crying since he’d been waiting years to marry his bride. After the newlyweds enjoyed a Mexican honeymoon, they’re now looking forward to a life together. “I’d like to have children one day, but that won’t be for a while,” the groom said.